never baked cake this way with coke, looks so soft and fluffy i guess the aeration in coke makes it that way... how interesting! Sweet and fluffy cake!Looks just perfect! Aha, nice. My mom bakes cakes with these sodas too instead of plain soda water. She makes chocolate cake with Coke/Pepsi, carrot cake with orange Fanta, and vanilla cake with Sprite! 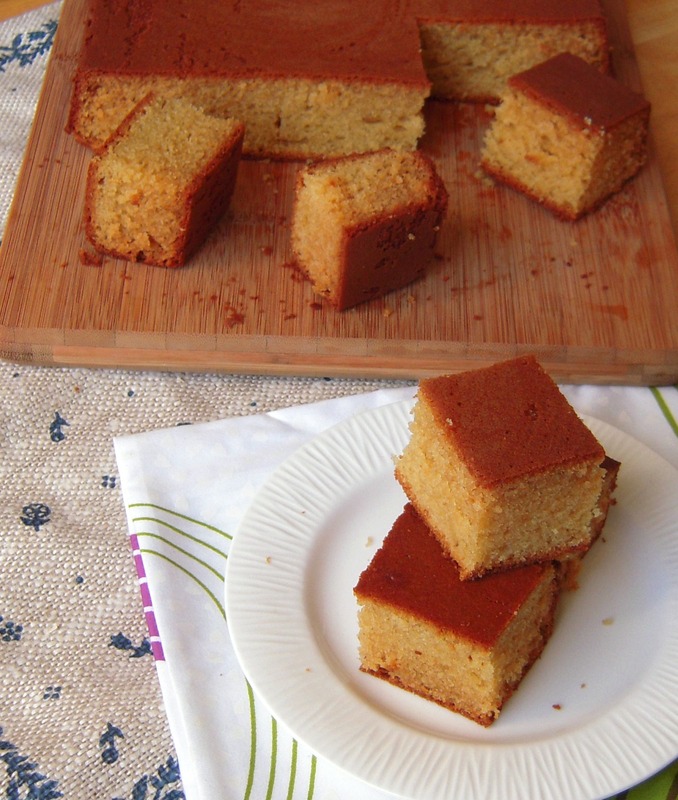 Yummy cake recipe. Am bookmarking dis cake to give it a go. Can u pls convert the condensed milk in cup? Can u please tell the ration if i want to add cocoa powder how much should be the ratio of maida n cocoa powder..
For every 1 cup maida remove 3 tbsp flour and add equal amount of cocoa powder. If u want to make this cake as a chocolate one add around 5 tbsp cocoa powder and remove that amount of flour. Hi jyoti can i use this sponge to do icing ? can i use it for fresh fruits gateau? Nice post.I like your blog. This is very useful. Thanks ! can u tell cup quantity in grams pls ? Hi, baked this for my son's bday and grind out great. Thanks again. I wanted to check if we can increase the size of the cake. Would you think the baking time would differ? I am thinking about the big rectangular one. Would appreciate if you can provide the measurements for those if you have done that. Thanks in advance for any insights you may provide. Thanks. So you may not know the measurements in that case?